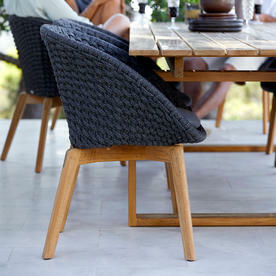 Stunningly comfortable and stunning to look at, the Peacock Rope dining chair is relaxed style and design at its best. 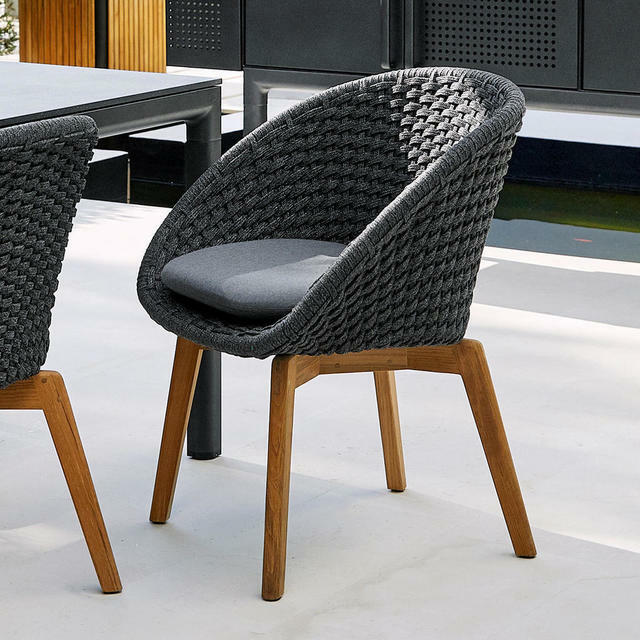 With solid teak legs and woven bucket seat and back, this chair designed by Foersom & Hiort-Lorenzen MDD is elegant and timeless. 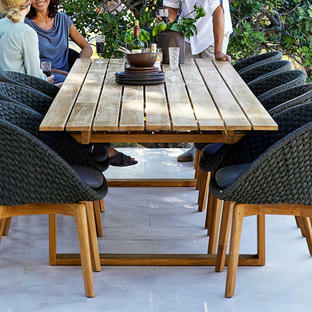 The chair is a beautiful visual piece of furniture with high comfort. 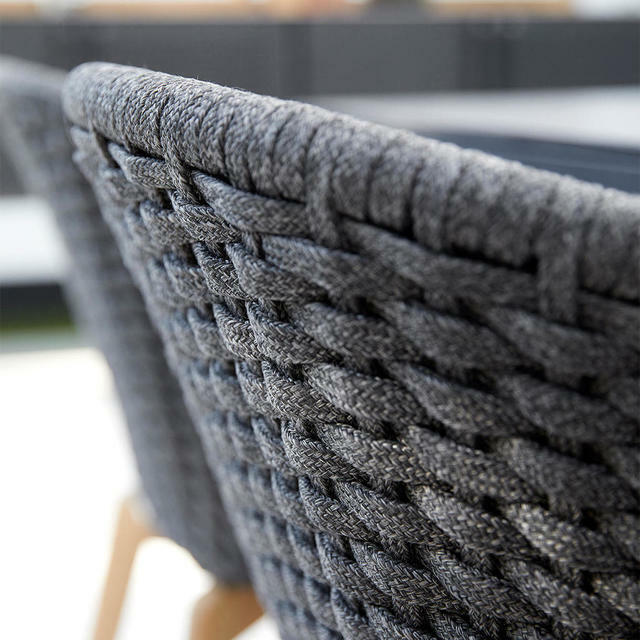 The Cane-line Soft Rope is practical, suitable for outdoor use in all climates, because it is ideal in a variety of temperatures and is UV resistant. The chair comes without the cushion, but the cushion pads can be ordered as an extra for additional comfort. 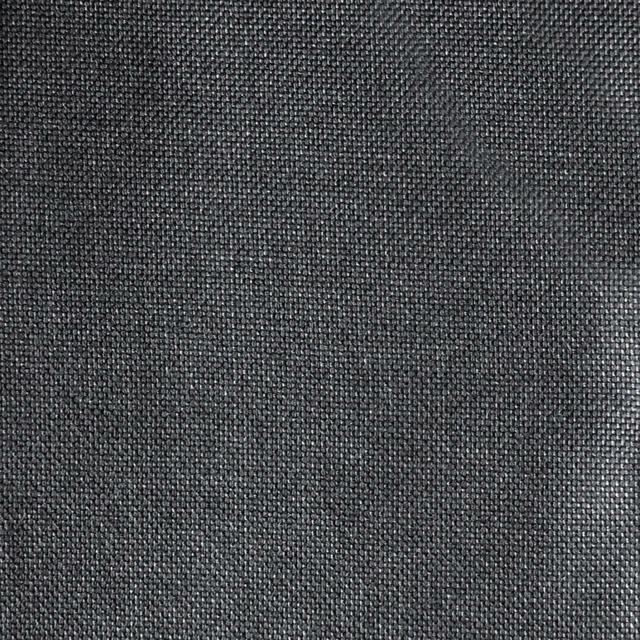 These seat cushions are available to order separately, choose from with toning dark grey or contrasting light grey fabric. 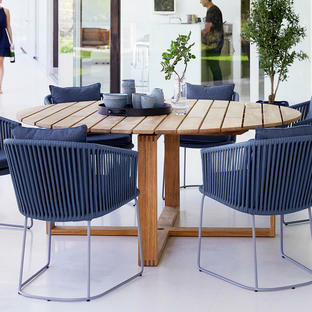 Team these chairs with elegant teak tables such as Endless also by Foersom & Hiort-Lorenzen MDD for Cane-line. 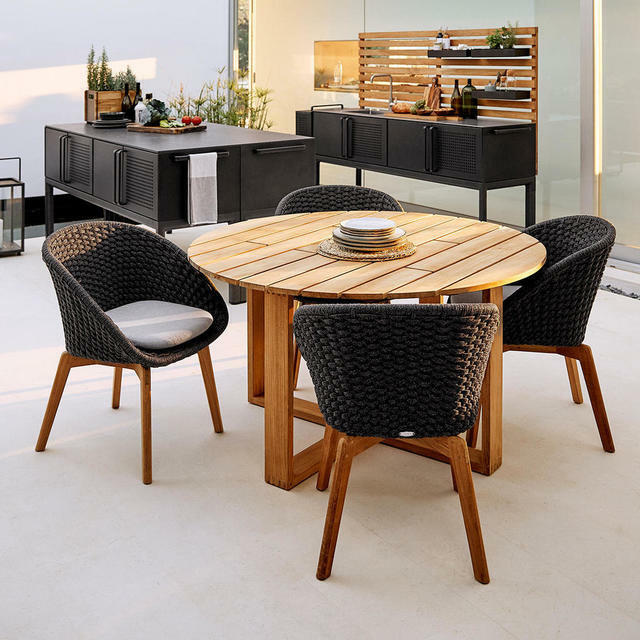 Choose from Endless circular tables or Endless rectangular shaped tables. 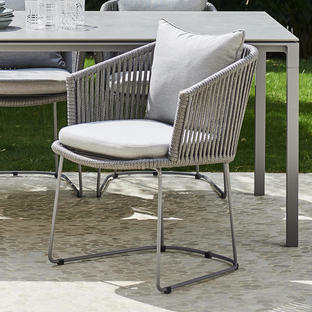 There is also an outdoor lounge collection available in Peacock Lounge, see here for details. 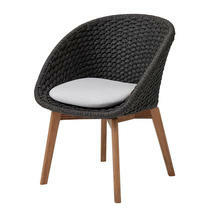 Made with a natural teak legs and the Soft Rope weave in dark grey all weather fabric. 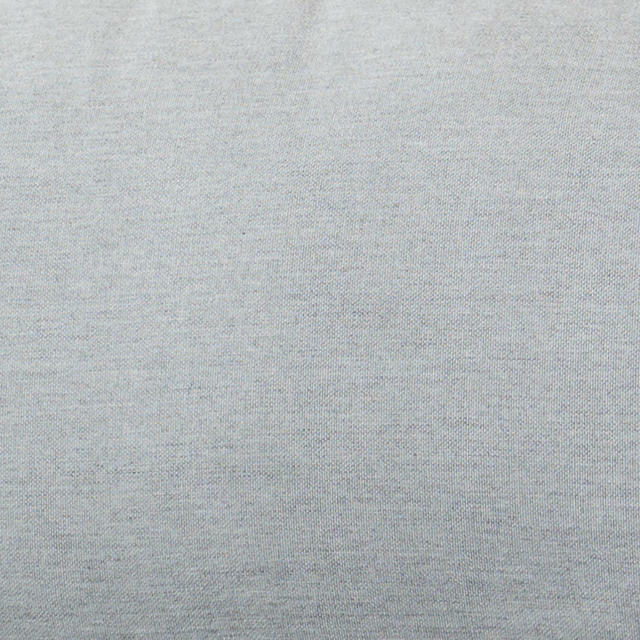 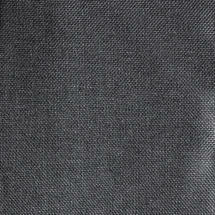 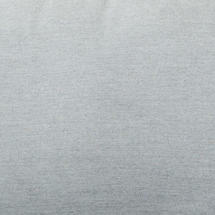 Seat cushions with quick dry filling are available in either dark grey or light grey all weather acrylic Natte fabric.